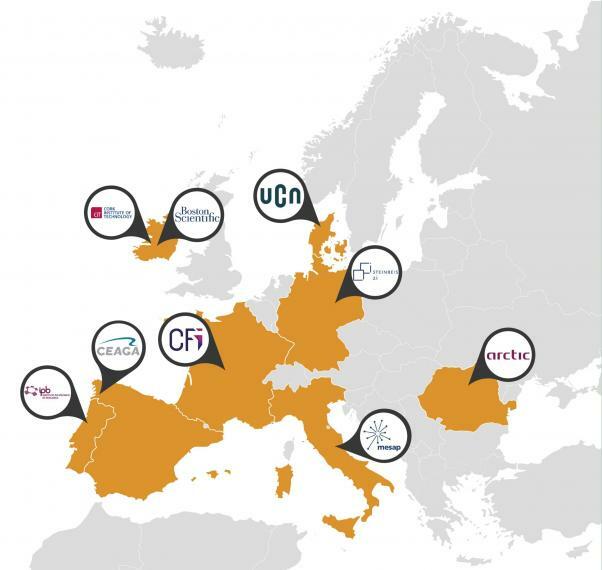 A consortium formed by 9 partners from 8 different countries (Ireland, Spain, Portugal, Romania, Germany, France, Denmark and Italy) will work in the European project FIT4FoF: “Making our Workforce Fit for the Factory of the Future”, supported by European Commission(Horizon 2020 framework), in the next 3 years. One of the most relevant aspects is that this consortium will identify at least 100 new profiles in the factory of the future in six technological areas: additive manufacturing, robotics (and cobots), mechatronics and machine automation, data analytics, cybersecurity and human machine interaction (HMI). Europe faces considerable challenges in addressing future skills needs. The increased introduction of technologies and the digital transformation of industry is leading to rapid growth in automation. Increasing globalization in manufacturing also introduces requirements for workers' to acquire new skills in terms of teamwork, intercultural and linguistic skills, and the need to deal with shorter lead times and more complex problems.. Growing gaps in knowledge and experience make it increasingly difficult to adapt, work proactively and contribute to innovation. The main objective of the European FIT4FoF project is to analyze current skills initiatives to identify the needs of workers, examining technological trends in the six technological areas mentioned above to identify and define 100 new job profiles in the factory of the future to serve as the basis for education and training requirements. The project will develop a new education and training framework that places workers (women and men) at the center of a co-design and development process, recognizing and addressing skills needs. FIT4FoF will empower workers to be the driving force behind the design, development and delivery of their own development programmes, always from a European perspective. · Identify emerging needs in terms of qualifications and professional profiles. · Identify the technical and non-technical skills (communication, problem solving, etc.) needed for the factory workers of the future. · Identify at least 100 new profiles, which do not exist today, in the factory of the future in the technological areas mentioned. · Identify more than 50 regional, national or European initiatives working to improve workers' skills. · Develop an interdisciplinary education and training framework to involve the industrial ecosystem, technologists and educators in co-designing education and training processes with the workforce. · To develop a series of training pilots in the participating countries to test, in real conditions, training programmes that increase the training of workers, with modular and reusable educational programmes that can be replicated in other European regions. · Build communities made up of industry, education providers, trade unions and governments at local and regional level and network them through a European alliance. Supported by the European Commission's Horizon 2020 Programme (H2020), it will be the only project of its kind in Europe. The consortium is formed by Cork Institute of Technology (CIT, Ireland); Galician Automotive Cluster (CEAGA, Spain); Instituto Politecnico de Brangança (IPB, Portugal); Arctic (Romania); Boston Scientific (BSL, Ireland); Steinbeis 2i (Germany); L´École Conenectée au Futur de l´industrie (France), Universitu College of Northern Denmark (UCN, Denmark) and Mesap innovation Cluster (Italy). The FIT4FoF project consortium brings together a combination of large industries, industrial clusters, educational and research organizations, from vocational training schools to university institutions. The educational institutions involved, CIT, IPB, UCN and CCI cover the education and training spectrum from vocational training to higher education and postgraduate degrees. The industrial organizations represent a number of key sectors of European industry, for example, Boston Scientific operates in the medical-technological space, CEAGA is an industrial cluster in the automotive sector, Arctic is the largest European manufacturer of household appliances and MESAP is an industrial cluster representing companies in the mechatronics and intelligent products sectors.